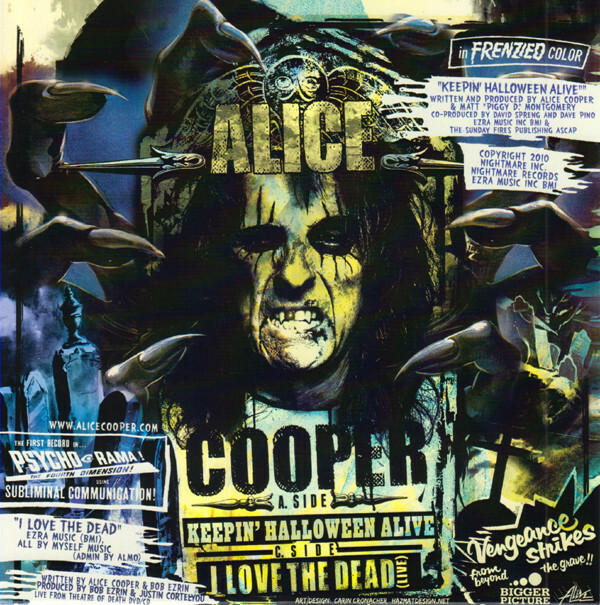 Unique in Alice Cooper the lead track on this single is only available on this release, and has never been on an album. 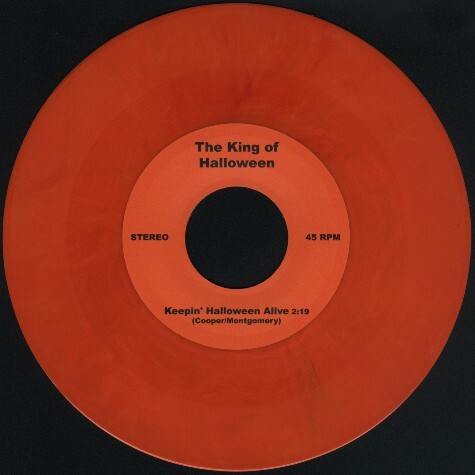 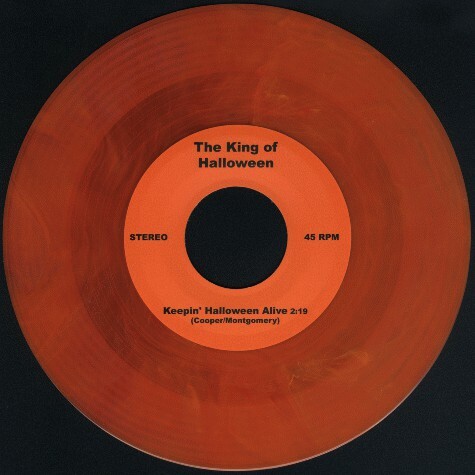 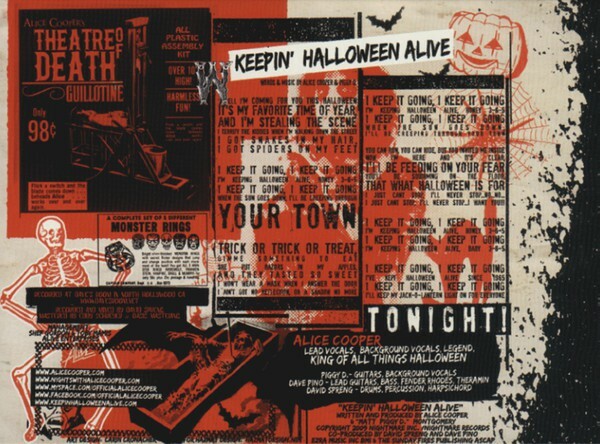 The single was available at least twice, around Halloween. 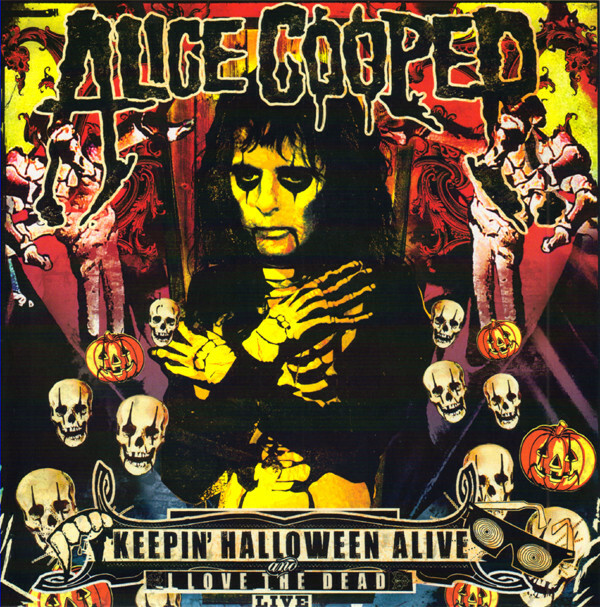 Around the time of release there had been some talk of Alice no longer releasing albums, but instead releaseing songs as EPs or possibly digital only. 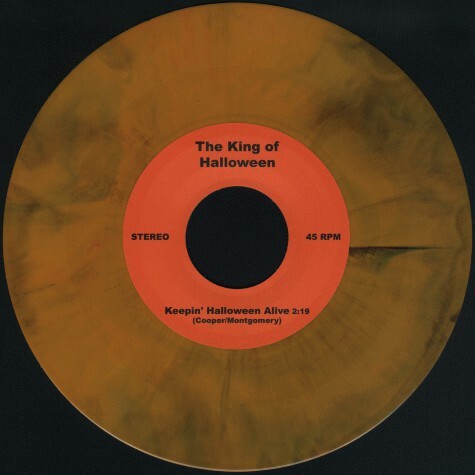 Luckily it didn't happen, but this release could have been an experiment in that direction. 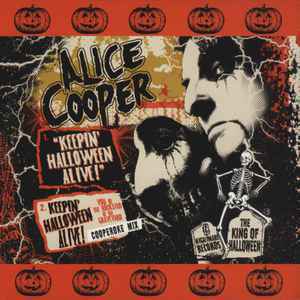 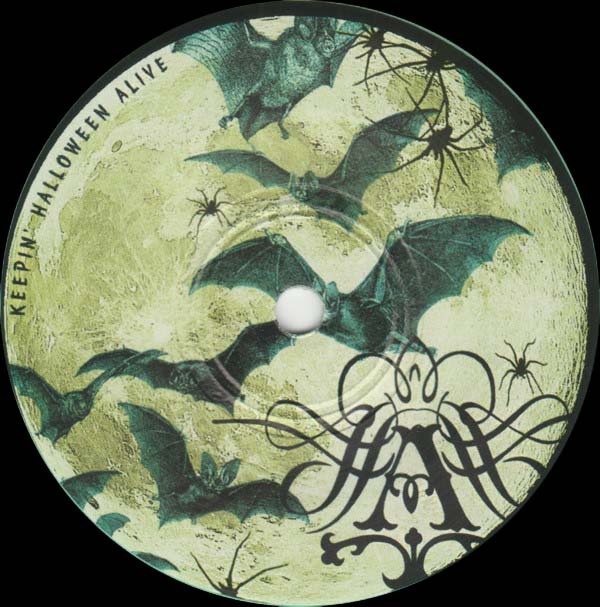 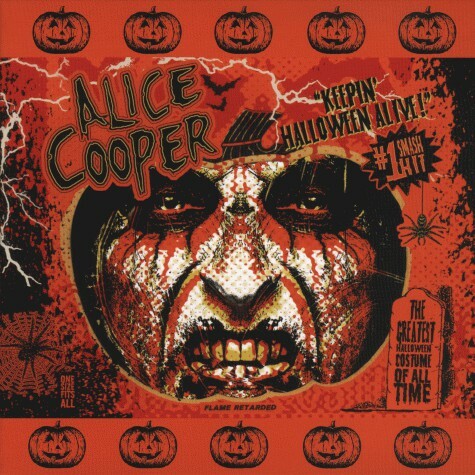 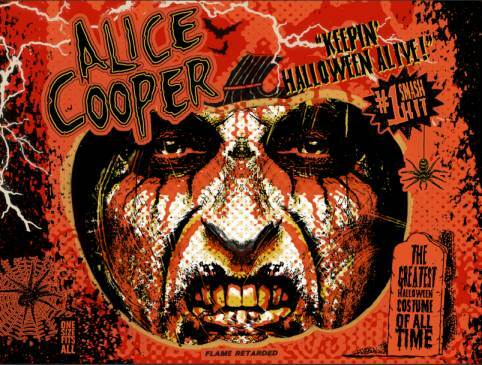 CD US Shout Factory 10/09 Keepin' Halloween Alive (Cooperoke Mix) Yes Limited Edition CD (signed) for Halloween 2009 period available from AC.com. 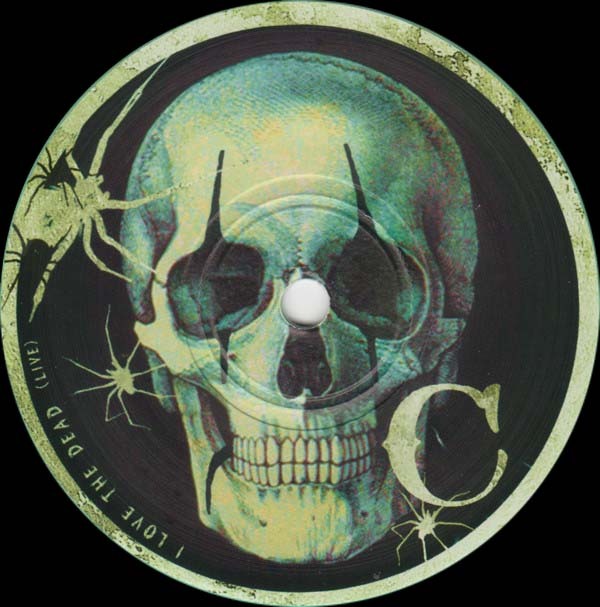 7" Germany NR-001CDS 15/11/2010 I Love The Dead (Live) Yes BOOTLEGS!! 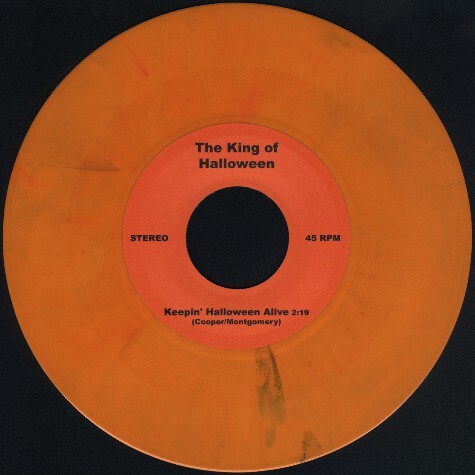 In 2009 This bootleg appeared on 7 different coloured vinyls.